Escapism of the bookish sort. This is the 50th installment of Bookcover Spotlight! Seems like just yesterday I started this one- and while I don't have a logo or anything (yet) I am really enjoying these cover spotlights every week. Looking back I have to say there's been some eclectic stuff here- no ryhme or reason to it, just a cover that catches my eye. This week... the new Liane Moriarty book and that alone is enough for me to spotlight it. Some readers may remember that I discovered Moriarty last year and Big Little Lies was probably my favorite book of 2015- so needless to say I'm looking forward to the new one. It's not my usual genre by a long shot, but I like her writing and the wry humor she brings to everyday life and if this is half as good as Lies it should be a winner. I haven't read Big Little Lies yet, but I have it listed for some time now. The new one does have a nice cover! Love the cover and am so excited to read it too! 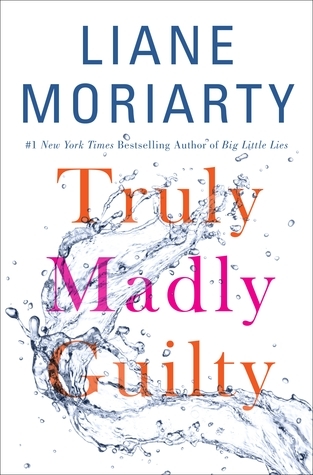 I love the cover for Truly Madly Guilty. I haven't read anything by Liane Moriarty but I really must, particularly since they are turning Big Little Lies into a tv series. NOt familiar with this author but do like the simplicity of the cover. I'm listening to Three Wishes by this author. I enjoyed The Husband's Secret. Her books have such great covers. I bought The Husband's Secret a while back and hope to get to it soon. I am looking forward to this one too. Sometimes the simplest covers can be the best! This is a pretty one, and I recall the one for Big Little Lies being nice too. It's great to hear that you've loved her books - I have Big Little Lies and the Husband's secrets on my shelf to read! Michelle from because Reading is better Than Real Life does deicing work, in case you're interested. Congrats on this being the 50th post of this feature. I always number my sunday posts as it's fun to keep track of how many I've done so far. I like this cover, it's look almost a bit empty, but the focus is really drawn to the water and the title. It looks great! Hi! Welcome to my blog. I am a book blogger and avid reader who loves to share a good book. 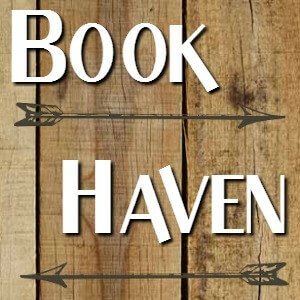 I review mostly fantasy and YA. I also enjoy music, movies and used bookstores. All reviews are my own personal opinion and I am not compensated in any way for reviews. I review books I have purchased myself or books that have been provided by an author or publisher in exchange for an honest review. Property rights for images on this website are retained by their respective owners. Most images are from books I have purchased and all images displayed are for the purpose of education and review under "fair use" terms of U.S. Code :Title 17 Sec. 107. If I've used anything I shouldn't have please let me know and I'll take it down.